Have you ever dated a girl who was clearly not over her ex yet? I have, several times as a matter of fact. If I hadn’t known better, I’d say the world is liberally sprinkled with beautiful girls who are still pining for their exes. It’s not just me, I see bros all over the place with one annoying and familiar story or the other about how some girl they’d kill for is not over her ex. 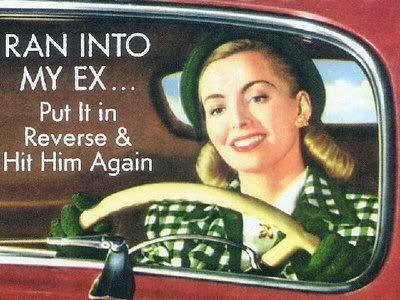 The bottom-line is, that ex is like a malicious specter over his ability to show her how wonderful he is as a partner. Seriously, why can’t girls fake being over their ex the way they easily and convincingly fake orgasms? If only girls knew how such state of affairs hampers their chances of getting a good man and ultimately walking down the aisle with him, they’d lobby the government to establish a sort of school for them. The kind of school where dudes like me would teach them how to hide all traces of their ex from their current bae. Guys, if your girlfriend’s attitude ticks five of the boxes of the list below, she’s definitely not over her ex. Start making contingency plans on how to deal with the problem. 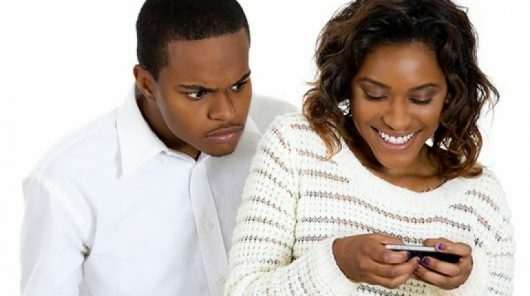 Your Girlfriend is not over her ex if…. 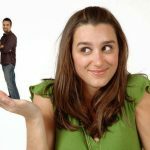 1.She loves talking about him – this should be at the top of every list of ‘reasons my girlfriend is not over her ex.’ For most guys, this is the only reason to jump to that conclusion. Even if she is a bit tactful in front of you, she’d talk endlessly about her ex when she meets mutual friends. She’d go on and on with questions about him; what he is up to at the moment and stuff like that. 2.She pretends he never existed – totally tries to blank him out. All your warning signs should be up if somebody that was so important to her never gets a mention. That is insane. That shows she is putting too much energy into erasing him out of her life. Energy that should be invested in her relationship with you. This is a subtle sign she is not over her ex I tell you. 3.She’s just friends with him – hmmm.. I guess some people would say that is a mature thing to do. There is no reason not to be friends just because you broke up. In my book, I know it is just a thin line from being just friends with an ex to having an affair with them on the sly. Her ex is the easiest person to have an affair with if she is going to cheat on you. 4.She remembers their special things – one of the rules of moving on is to try as much as possible not to take the memories of your ex into your next affair. Just move on. Just put your foot down and end this madness. 5.Too many coincidentally meetings – And to rub it in, she’d tell you about it anytime she accidentally bumped into him. At a point, it becomes one accident too many. Stalker alert; she is not over him and it is clearly affecting her mind. 6.The blues set in – your girlfriend becomes depressed and distant moments after meeting him or talking about him. Know this, she misses the good times, she wants you to let her be so she can reminisce about those times with her ex. That is when the depression sets in for her. 7.Tracks his new relationships – your girl is supposedly in a relationship with you, but is somehow overtly interested in her exes affairs. You know how it goes, each time she hears news about his new love, she wants to know everything about the new girl. And she gets easily irritated, moody or angry depending on the nature of the news. Unfortunately, you are the fall guy to bear the brunt. 8.Endless comparisons – she’d never miss an opportunity to compare you with her ex. Nothing is off limits in the extreme cases. How you make love; your bank balance; your car; the way you talk. Everything is fair game to her as she goes about telling you you are not as good as him. The message is clear; she is not over him. These 7 signs are definitely not all the signs I am sure. Other signs could be apparent. Most times, it comes down to the personality of your girl. Anyway it is, the bells are tolling for you to have a serious talk with her about her ex. You should not be afraid to explore all your options in a situation this. Have you ever faced a situation like this where you girl is obviously not over her ex? Please tell us about it in the comments section or on our excellent Facebook page or Twitter handle. Cheers.